OceanWise actively participated in both the 2nd Mexican Hydrographic Convention and 15th meeting of the Meso-American and Caribbean Hydrographic Commission (MACHC) of the International Hydrographic Organisation (IHO) hosted by the Mexican Navy Hydrographic Department at its Oceanographic Institute for the Pacific Region in Manzanillo, Colima, Mexico from 8-13 December 2014. OceanWise were invited to provide Data Management Training to MACHC Associate Member States as part of the IHO’s Regional Capacity Building Programme. Attendees from countries including Grenada, Panama, Antigua, St Vincent and the Grenadines, Haiti, Trinidad & Tobago, El Salvador and Belize heard about how, by adopting data management best practice, the development of an enterprise or regional Marine Spatial Data Infrastructure (MSDI) can be realised as a vital pre-requisite to developing a hydrographic capability in their countries. Such was the enthusiasm shown by attendees for the subjects covered that further training activities are planned in the region in the coming year or so. OceanWise Director, John Pepper, also presented to the Hydrographic Convention on the “Wider Use and Utility of Hydrographic Data”. The paper supports the IHO’s vision that “Hydrography is much more than charting”, a view initially championed by OceanWise personnel that is increasingly gaining importance on a worldwide basis. OceanWise provides the Secretariat to the IHO MSDI Working Group as well as acting as Expert Contributors to the IHO on matters pertaining to Data Management and MSDI. The company also provides training and mentoring to the IHO Regional Hydrographic Commissions (RHCs) and directly to Hydrographic Offices on modernising chart production by adopting a more centric approach to data management.┬áThis approach can support HO involvement in national and regional SDI initiatives, as well as improving efficiency and data quality across a range of products and services. 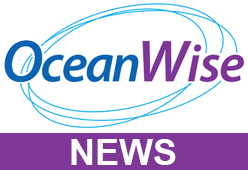 For more information on how OceanWise can help your organisation to introduce best practice data management or modernise its approach to workflows and production, please contact John Pepper at john.pepper@oceanwise.eu.